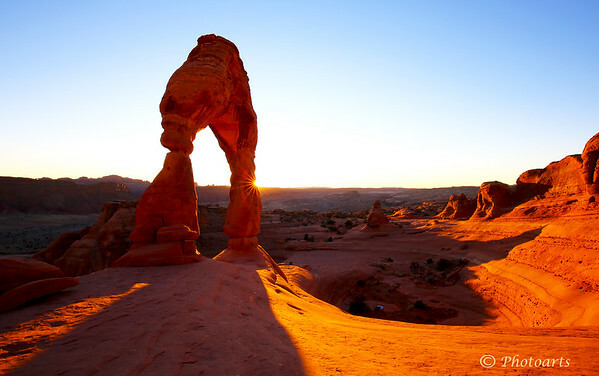 This unique angle of the Delicate Arch in the Arches National Park in Utah was captured at the intersection of Sunset. Wonderful light...great positioning of the sun! The arch dominates the skyline beautifully. Nice work with the burst of light midway down. My beach fire image was taken @ f/18, SS 13 sec and iso was 1250. Thank you for your kind comments on my photography. As for the starburst, more than the angle of light it is the exposure time that causes the star effect, click on the i in the right corner for technical details. Thanks again!